Sometimes making a sub better is all about the details. Such is the case with our dual 12-inch sub enclosures. We took what we knew worked from our db212, did a little refining to make this next generation more impressive, then added even more blow-you-away performance. The result is just plain nasty. Which is good. Huge power handling 720 Watts continuous and 1500 Watts peak! Front loaded slot port provides thunderous bass and allows greater air displacement then round port designs. Extensively braced trapezoidal MDF enclosure eliminates performance-robbing box flex. dB1222 is 32-inches W x 14-inches H x 15-inches D at the top and 18-inches D at the bottom and weighs 88 lbs. Viscoelastic isolation damping between the baffle and cabinet prevent any unwanted vibrations or buzzes when the subwoofer is driven hard. Rugged automotive grade black carpet provides an attractive and durable enclosure finish. 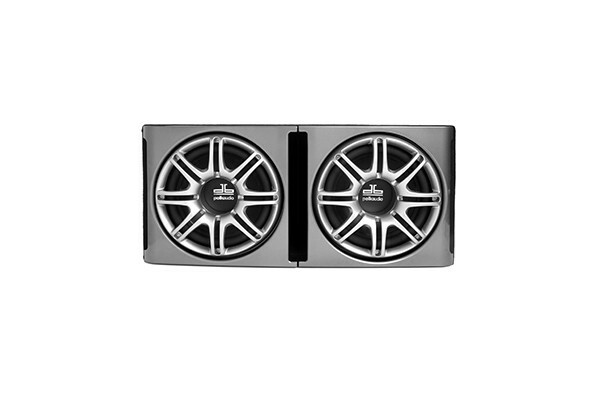 Heavy duty automotive grade ABS grilles provide awesome looks but also protection for the woofers. 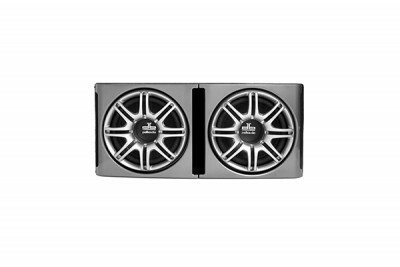 Paintable grilles and baffle looks great as is, or may be matched to your vehicle's color. 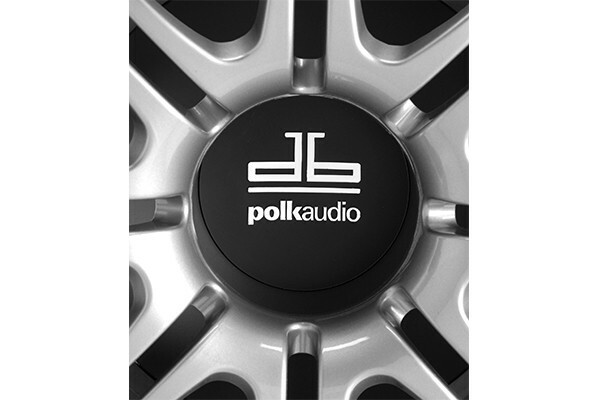 2 ohm impedance uses subwoofer amplifier power most effectively. Dynamic Balance® composite woofer cones feature tremendous stiffness-to-mass ratio. Lower mass means faster transients and finer detail. High-roll santoprene rubber surrounds provides reliability in the temperature extremes of a vehicle. Fire retardant NOMEX® inner suspension increases reliability while providing extended cone travel. 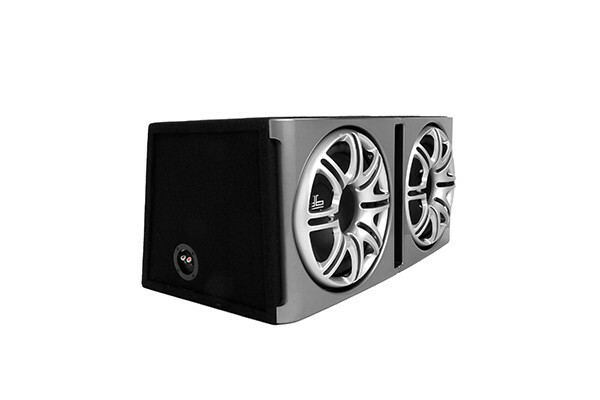 Subwoofer Box Dimensions Dimensions - Depth 18 1/2 (46.99cm) "
Subwoofer Box Dimensions Dimensions - Height 14 3/4 (37.47cm) "
Subwoofer Box Dimensions Dimensions - Width 32 1/2 (82.55cm) "